Open financial data reforms, reduced barriers for banking licences, an expanded regulatory sandbox and digital currency tax cuts are among the major initiatives in the 2017-18 Australian budget welcomed by Australia’s fintech industry body. 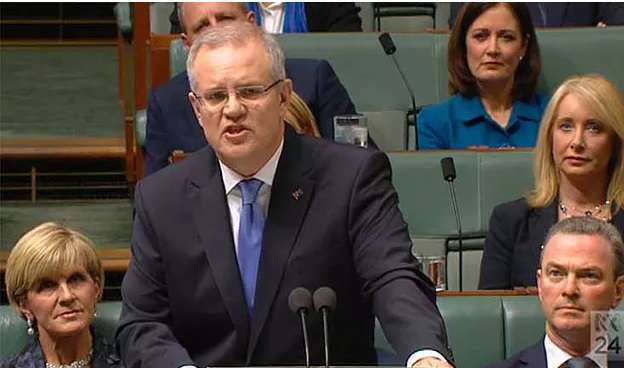 Australian Treasurer Scott Morrison used the budget to deliver a detailed new statement about how he will create competition and accountability in Australia’s banking system. “We welcome these initiatives – they’re a huge step forward when it comes to growing a globally competitive Australian fintech industry, that will also deliver greater choice and improved financial outcomes for consumers,” said FinTech Australia CEO Danielle Szetho. The proposed expansion of Australia’s fintech regulatory sandbox to allow fintech businesses to test a wider range of fintech products without needing a licence, and to expand the sandbox testing period from 12 to 24 months. A government commitment to deliver a framework to allow innovative fintech firms to more easily access bank customer financial data by 2018, following an independent review to be conducted in 2017. The release of draft legislation to extend the government’s crowd-sourced equity funding framework from public companies to private companies, which should help small businesses to better access equity to grow via innovative fintech platforms. A decision to ensure people using digital currencies, such as bitcoin, do not have to pay GST on the use of the currency itself – which until now was a form of ‘double taxation’ and impeded the growth of Australia’s digital currency industry. The government’s announcement that it will legislate a mandatory comprehensive credit reporting regime, if credit providers are not reporting at least 40 per cent of their data by the end of 2017 – this initiative should help improve fintech firms’ access to positive credit data to provide more choices for consumers. “It is pleasing to see that the government has clearly used the budget to reaffirm its commitment to Australia’s fintech industry, and sees this industry as a driver of increased consumer choice and jobs growth in financial services,” he said. Ms Szetho said FinTech Australia would be working closely with other startup industry groups to assess the potential impacts of the government’s announced new levies on businesses under $10 million which employ skilled migrants. She also stated that FinTech Australia would also now be closely examining the draft crowd-sourced equity legislation, released by the government on budget day. “Finally, we will also be seeking to work closely with the government as it establishes the new Australian Financial Complaints Authority to ensure it provides a fair and low-cost outcome for fintech firms who will be subject to its activities,” Ms Szetho said. Download our Fact Sheet for a handy summary of the fintech-related changes in the 2017 Federal Budget.